Takegene®Paraffin Embedded Tissue DNA Extraction Kit is suitable for the extraction and purition of DNA of from paraffin section, paraffin block, formalin fixed organization. The kit adopts unique regant formulation and solid phase. 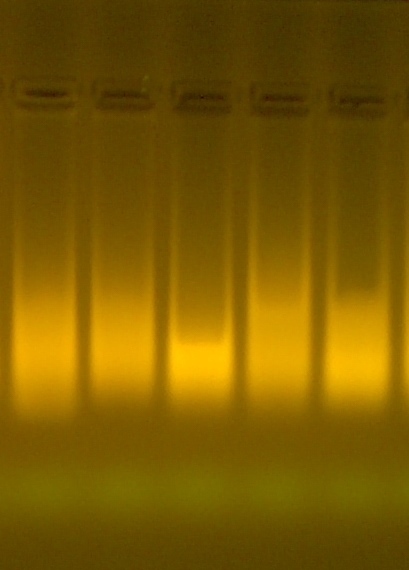 The DNA is released quickly and thoroughly by the high performance buffers from paraffin sections. Stored at roomtemperature,expect protease (powder) should be stored at 2℃~8℃. The expiration date is 12 months after manufacture. High yield. >100 bp: >75% recovery. High purity. OD260/280 is about 1.75~1.85.It can be used directly in downstream experiment ,such as sequencing library constructed, qRT-PCR, enzymatic ligation reactions, etc. DNA integrity is good, and longer fragments.